Today's hygiene regulations demands that surfaces in some environments must be smooth and easy to clean, and that walls are durable, impervious and impact resistant. Wall cladding is a grout-free timeless choice for any interior. Wall cladding provides a decorative and practical alternative to ceramic tiles. Tests show wall cladding is 100% water tight. We will conduct a full site survey and quotation to ensure we are as comprehensive as possible. Our expert installation teams will thermoform the cladding's internal and external corners on site. We set out sheets in the most cost effective and aesthetically pleasing manner, accommodating any structural movement joints in the buildings within the jointing system. Wall cladding is available in a huge variety of colours to assist in delivering antimicrobial wall cladding solutions without compromising on design aesthetics. 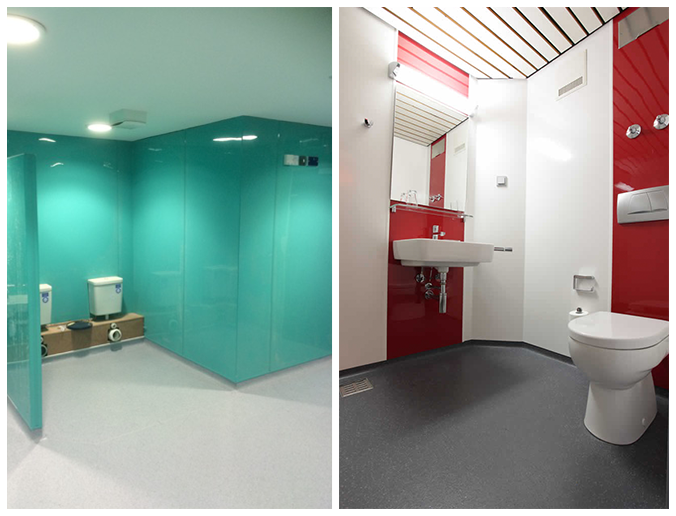 We supply and install hygienic wall cladding products from both Altro and BioClad. Combined with Altro safety floor coverings we can provide a completely water tight floor to ceiling installation.